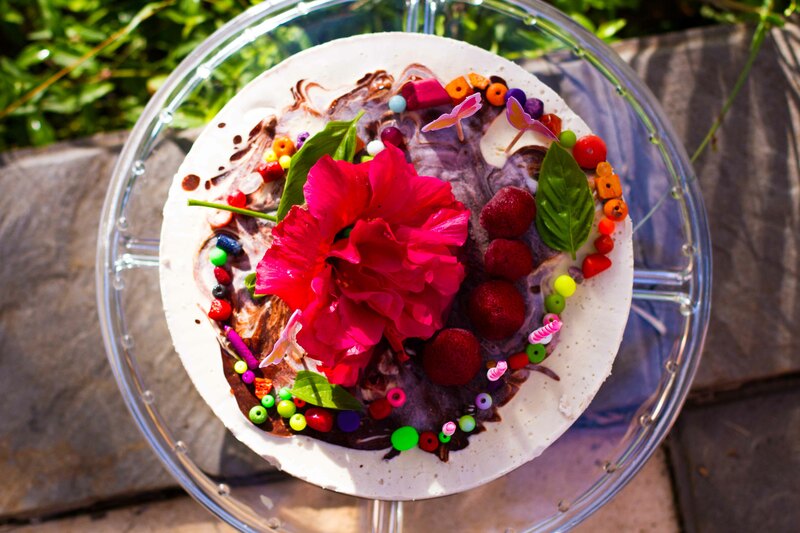 As I promised, I’m sharing Michal’s secret recipe for this gorgeous cake he and our kids made for my birthday yesterday 🙂 Raw Chocolate-Berries Cake! 3. melt the coconut oil and add the rest of the ingredients for the chocolate garnish. mix well and pour over the cream starting in the middle and going to the edges. Then use a tooth stick to make circles. Leave the edges untouched. 4. Put in a freezer for 4 hours or fridge for 8 hours. Hi Bella, well, I don’t think the coconut water would work for this recipe. It is watery so the cream won’t be as solid as if you use coconut nectar and a lots of fat (cashews).